Blog Home > Useful Tips > No Homework Policy: Necessity or Trend? No Homework Policy: Necessity or Trend? There has been a large debate within the community of educators globally — whether or not schoolers have to do homework. Some researchers of the problem emphasize negative effects of home assignments, such as higher stress levels, reduced interest in studying, or wasted classroom time. Is homework really such a harmful phenomenon? Let us explore the benefits and drawbacks that are associated with assigning homework to students and try to overview the best solutions so far. Research shows that homework can have a negative impact on students. For a start, it is not always associated with positive test results. Some researchers have found that countries with the minimum homework assigned have the highest performance scores among school students. Secondly, homework does not contribute to equality in learning. Students with more access to information or those with more support from educated parents tend to succeed more. Alternatively, they spend less time doing homework than students with no access to such resources. 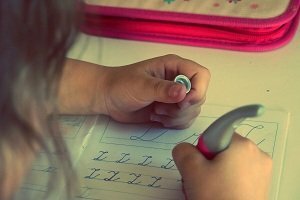 Thirdly, homework significantly reduces after-school time that could be otherwise spent on more fruitful activities (learning extracurricular skills, spending time with family and friends, reading for pleasure, and more). Fourthly, big amounts of homework are associated with high levels of stress in children. They do not only have less time for relaxation after school, but they also become worried about the results and grades they receive for their homework. Finally, homework takes too much of class time. There are teachers who concentrate too much on checking homework in the classroom, especially if students have questions regarding their home assignments. On the other hand, assigning homework to students cannot go without benefits. Thus, children learn from the early age to manage their time and prioritize work activities. They also are getting prepared to living in a world where they will be required to do some work after working hours (for example, doing research). Additionally, there have been studies that tell us about positive impact of doing home assignments on school performance, especially in older students. More to that, homework can be challenging and interesting. It can facilitate critical thinking and social skills (extracurricular collaboration of classmates). Therefore, it has been advised that the levels of homework should be controlled, and home assignments themselves should be meaningful for students. As a result of this homework-related discussion, teachers have started experimenting with volumes and nature of homework assigned. For example, elementary students can do well with no homework at all. Further on, the amount of home tasks can depend on the grade level. Thus, junior high students could be assigned no more than 90 minutes of homework daily, and high school seniors about 2 to 2.5 hours every day. The US Parent-Teacher Association has created guidelines for healthy homework which would facilitate active learning and provide a balanced schedule between education and out-of-school life. The guidelines have been adopted by a number of schools across the US. In 2014, the Australian Education and Training Committee suggested that homework policies should be reviewed and modified, so that primary school students would not have to spend their time on the unnecessary activities (according to numerous studies). In 2015, one of the UK’s most prestigious boarding schools, Cheltenham Ladies’ College, has started to review its homework policies in relation to increased levels of depression and anxiety in teenagers. Their new model suggests that students rather do reading before the class than spend significant amounts of time after school on homework. The examples of schools advocating no homework or reducing the amounts of it are nowadays frequent around the world. While a significant number of studies suggest that homework leads to more harm than good, there are other studies that show the opposite. The real solution in solving the “abundance of homework” problem would be to adopt balanced curriculums that will benefit each and every student. Right now, it is too early to say where the existing solutions will lead.